BEATMKRZ is dedicated to showcasing the creative works of up and coming DJs, and Electronic Music Producers in the scene. Be prepared for an aural & visual treat, as they excite your senses with their original tracks, and live sets. A Singapore Turntablist community get-together! 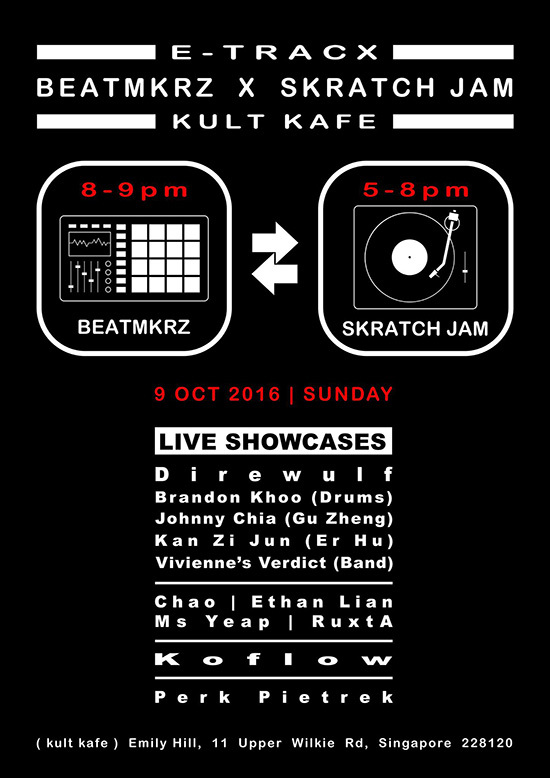 Come enjoy a chilled evening of creativity, skill sharing, and crazy skratching! DJs – please bring your own stylus, slipmats, and skratch records. Everyone else – try your hand at skratching or come enjoy the music!